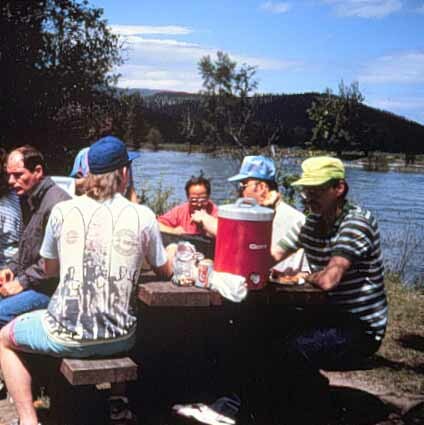 CAMPING: Developed sites usually contain a parking spur, table, fireplace, toilets and water. The developed campgrounds which require a fee are signed and time limits, if any, are posted. For the more venturesome, there are numerous isolated roadside and backcountry campsites. These sites do not contain improvements like toilets, tables, or fireplaces. Scenic lakes, fringed with forested slopes, offer opportunities for fishing, swimming, canoeing, boating and water skiing. FISHING: The Lolo National Forest is home to several species of fish, and provides some of the best trout water in the nation. From large, meandering rivers like the Clark Fork and Bitterroot, to smaller, tucked away mountain streams, the Lolo supports the diversity of habitats needed for these species to thrive. High mountain lakes are abundant, and generally support healthy populations of trout. Some of the larger, low elevation lakes contain populations of warmwater species as well as native trout. The state establishes seasons, issue licenses and permits, set limits and enforce regulations. WILDLIFE: Big-game species found in the area include bear, elk, moose, big horn sheep, mule and whitetail deer and Rocky Mountain goat. Along the trails, naturalists and photographers can see a variety of songbirds, hawks, eagles, and owls. In shaded groves, along quiet pools and out on the windswept range, gophers, chipmunks, beaver, porcupine, woodchucks, rabbits, squirrels, and other animals can be watched and photographed. HIKING: Lolo National Forest offers 9 trails ranging in length from a 1/4 mile loop to 6 1/2 mile loop. 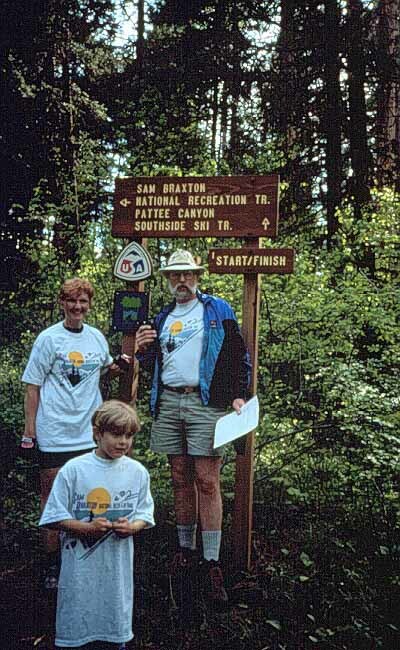 These trails lead through dense vegetation, narrow canyons, tall trees to windswept ridges, receding glaciers, trout-laden streams and gem-like lakes. Most roads, trails and areas are open to recreation use year long. However, in some areas restrictions have been imposed to protect resources. From Blue Mountain Lookout scenic views of Bitterroot River and Missoula Valley can be seen or get a 360 degree panoramic view from Skookum Butte Fire Lookout. WEATHER: Daytime summer temperatures are usually in the 70 to 80 degree F. range and night time temperatures vary from 40 to 50 degrees F. Temperatures in the higher elevations will generally be somewhat cooler. Frost or snow is likely every month of the year in the higher elevations. Though the seasons are varied and unpredictable, proper clothing insures enjoyment of a variety of activities and recreation opportunities.